Leapstart After School programs provide a place for kids to learn and play in a safe home-like environment. We provide pickup services to most schools in the Cupertino area, so you can feel comfortable knowing your child is in good hands from the moment his/her school finishes until you pick them up after work. In our program, we offer homework help, hot vegetarian lunch, Evening Snacks everyday. 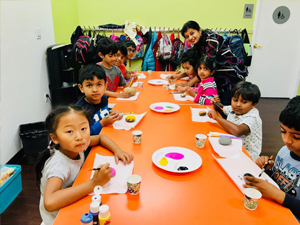 Each day of the week children, who are able to finish homework in time, are also provided with opportunities to engage in free optional classes such as Hindi, Spanish, Bollywood Dance and Yoga. We feel it’s important to create an environment for children that strikes a balance between the atmosphere of home and of school. The last thing a child wants after a busy day at school is to head straight into another classroom! We want to give children the structure they need, but in a friendly and warm atmosphere and in very nicely decorated and comfortable setting. 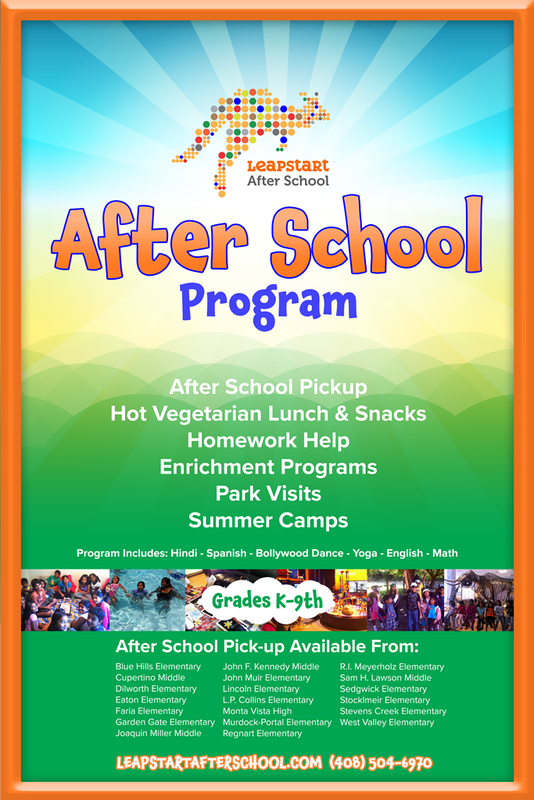 The After School program runs from 1:00 p.m. – 6:30 p.m. every weekday and is designed for children aged 4 – 14. Our program is priced monthly. Please call 408-504-6970 for more information.